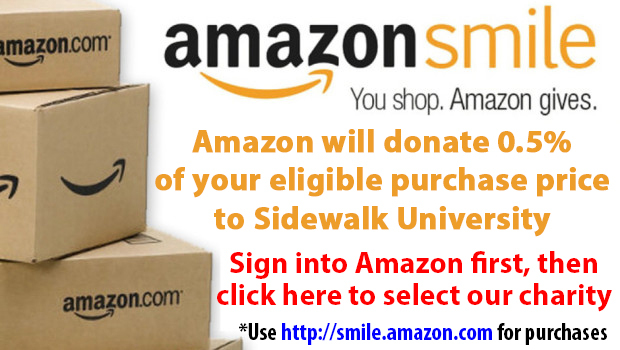 Sidewalk University (SU) is a non-profit organization that was founded on January 10, 2001. SU is committed to helping people to become leaders in their communities. Sidewalk University (SU) carries out this mission through a variety of means, including an assortment of educational and cultural programs that seek to expand the horizons of young people and give them the skill sets they will need to lead successful and productive lives. SU succeeds by providing avenues where young people can build cultural and social skills in order to become more aware of educational opportunities, preparing students physically, mentally, and emotionally to meet the challenges of higher education and trade schools, as well as assisting young people and their parents in performing community service activities as a means of giving back to society. Equality: We believe that all people should have equal access to the same opportunities. We will ensure there is equal opportunity to achieve equality in education, employment and economic security. We will openly address discrimination. We will reflect the voices, experiences and interests of our community. Mutual Respect and Trust: We will create an open environment, where acceptance and dignity are experienced by all. Excellent Service and Staff: We will ensure a positive impact in our community; we continually strive for excellence in the quality of the programs and services we provide for all those we serve. We support, develop and encourage quality staff to accept full accountability to lead our service delivery. Collaboration: We believe in collaborative partnerships that transcend all cultural boundaries for the overall improvement of our community and constituents. Integrity: We are honest, accountable and consistent in our commitments to all of those with whom we interact. 1) Improve the fiscal strength and sustainability of the organization. 2) Develop and improve services that enhance the community. 3) Increase overall organization performance and accountability. 4) Improve public relations and communication both internally and externally. 5) Increase partnerships with businesses and other organizations throughout the world. 1) Encourage and facilitate the active involvement of business leaders and other community leader in Sidewalk University efforts. 2) Strengthen the Sidewalk University collaborative to ensure that funds are spent most effectively and to facilitate ongoing collaboration among the community education organizations. 3) Develop an active outreach campaign to inform the community as a whole about Sidewalk University services that are available. 1) New partnerships and/or programs must be consistent with Sidewalk University’s mission. 2) Programs will be cost effective and support the organization’s goals. 3) Programs will meet the community’s needs and will not duplicate services.